Yet bisexual, queer, pansexual and fluid young people all too often report heartbreaking levels of stress, anxiety and rejection in their homes and communities, well beyond that of their gay and lesbian peers. Nearly half of bisexual young people reported they are not out to any of their teachers, compared to 32 percent of lesbian and gay respondents. These alarming trends continue into adulthood. The prevalence of biphobia in LGBTQ and non-LGBTQ spaces alike contributes to these shocking numbers. 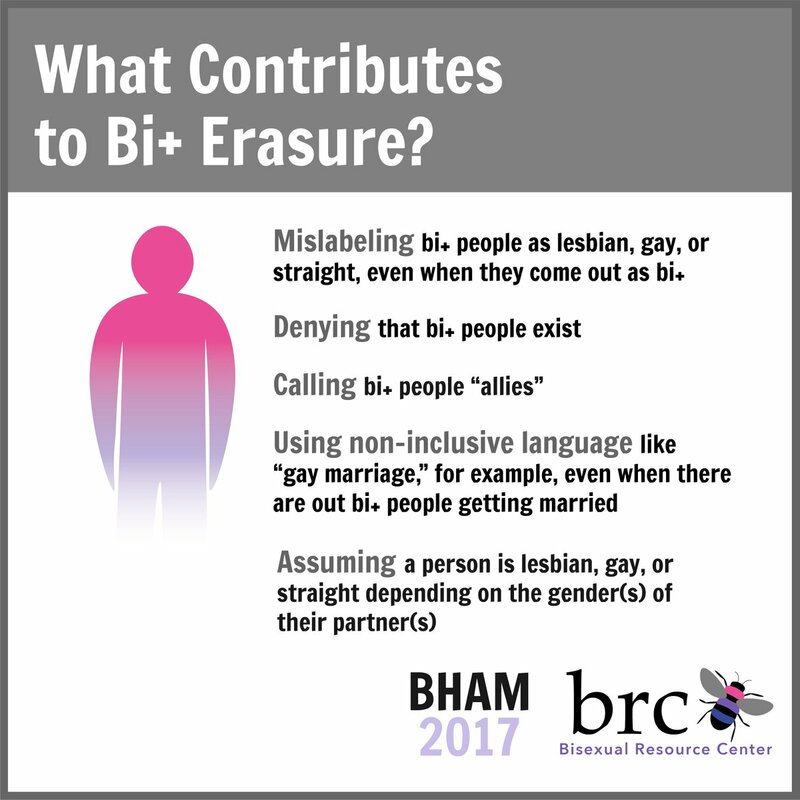 BRC defines biphobia as “mislabeling bi+ people as lesbian, gay or straight, even when they come out as bi+.” Biphobia seeks to undermine the legitimacy of bisexual identities and comes in many forms: jokes, stereotypes, non-inclusive language and even abuse. The fear of being dismissed as “too gay” or “too straight” often makes it hard to be open. Statistics like these are even higher for the bisexual people who are also transgender, people of color and/or people with disabilities, who experience biphobia at the intersections of transphobia, racism and ableism. Research consistently points to an urgent need for parents, educators, allies and the broader LGBTQ community to support and care for these youth. It is up to each of us to educate ourselves and open the doors for bi, queer, pan and fluid young people to be able to embrace their true and authentic selves. For more information, check out HRC.org/Bisexual.